This was between the ages of 2 and 13. 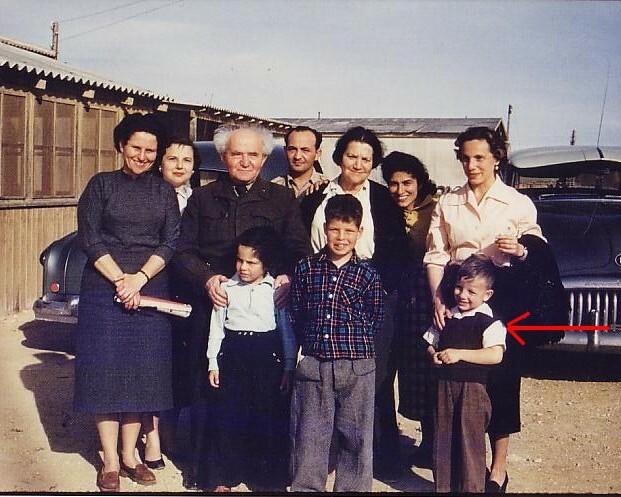 My parents lived in Zahala, where they met and became friends with Geula Ben Gurion. Through Geula, we were introduced to Ben Gurion. Honestly, I don't remember the meeting in the picture, because I was only 3 years old. But I do remember much of the years I spent in Israel. I am planning to come to Israel sometime in the next 12 months. My brother lives in Haifa, so I want to visit him, and visit the places of my childhood. So if you are on Echolink, look for me and give me a call and I will do the same.